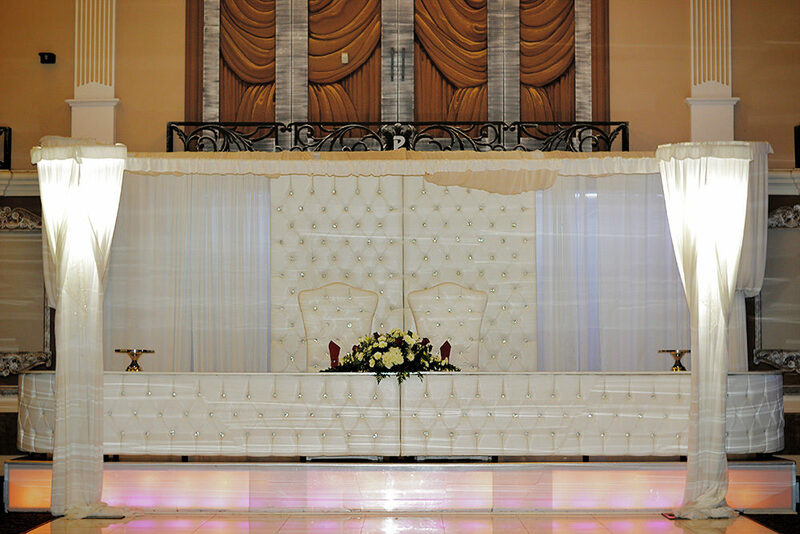 Platinum Banquet Hall has years of experience planning and staging world-class events, from weddings and large corporate parties to quinceañeras. 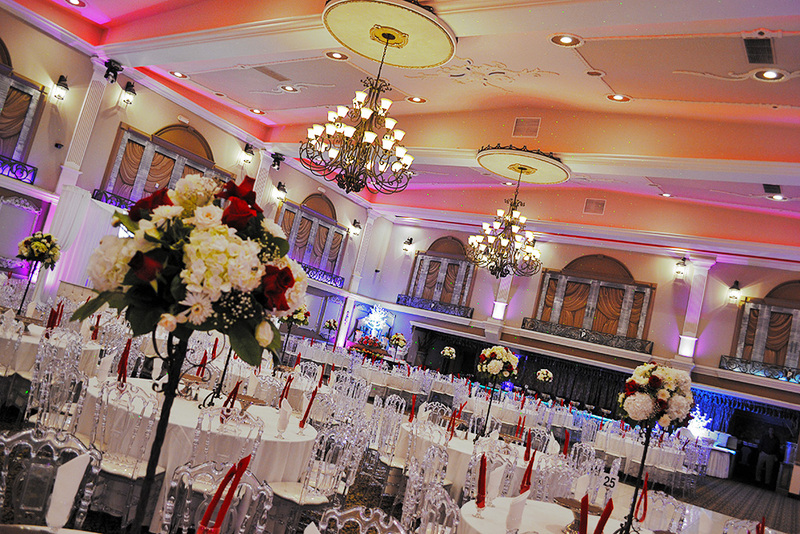 Our dedication to making every event a moment to remember is what makes us one of the top event venues in Los Angeles. Platinum Banquet Hall employs only the absolute finest events staff. Our event planners are professionals in the industry of planning weddings, quinceañeras, engagement parties, large corporate events, and any other event you may want to host. Each and every one of our staff brings a passion and dedication to the job that shines in everything we do. Our mission is to keep our clients happy from beginning to end. 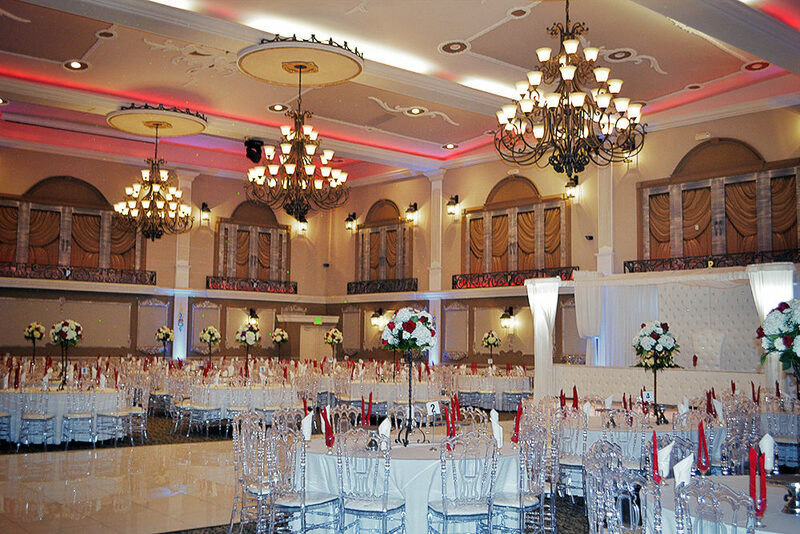 Platinum Banquet Hall’s beautiful interior is like no other event venue in Los Angeles. You can put your trust in our state-of-the-art facility and many years of professional experience. Our venue can accommodate large parties and can be customized to your liking. Our coordinators can assist with décor, lighting, and whatever else you may need to have an amazing and successful event. At Platinum Banquet Hall, we are here to make you happy throughout the planning process and the entire day of your event. 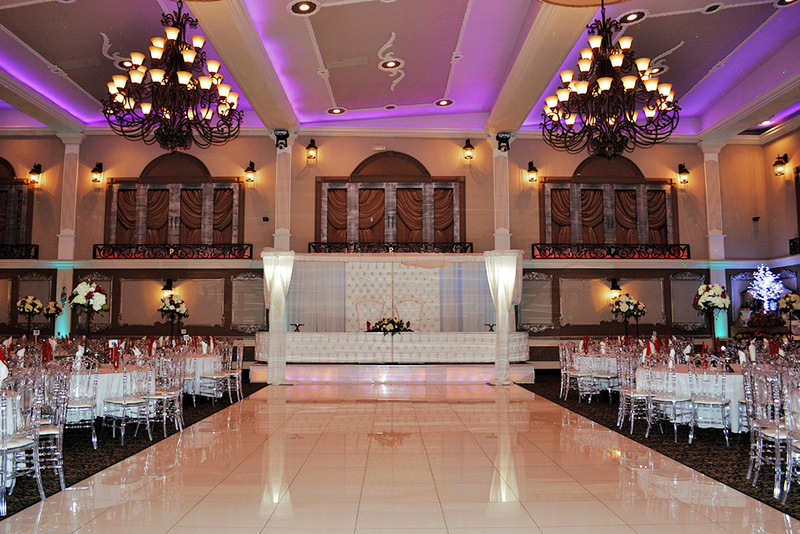 The elegant décor of our banquet hall includes a large dance floor, high ceilings, and beautiful chandeliers that hang above. When you host your wedding at our venue, you will love your surroundings. The beauty of our hall coupled with our expert staff and professional service is sure to make your wedding memorable and special. Look through our gallery to see more of our venue and to get wedding reception inspiration! 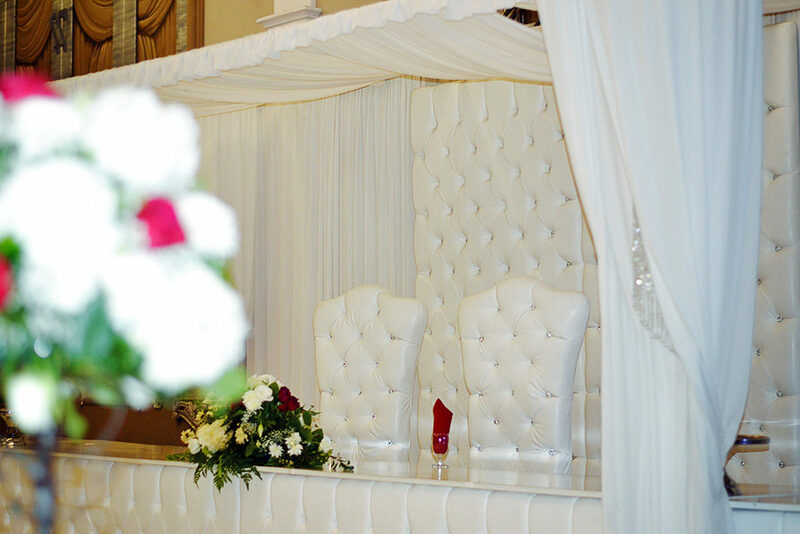 The staff at Platinum Banquet Hall works hard to exceed your wedding day expectations. Contact us to plan your dream wedding today! Every quinceañera deserves a celebration that is memorable and fun! When you book Platinum Banquet Hall for your party, rest assured that your event will be one that you’ll never forget. Our expert planners will help you figure out all the details of your special day, from venue lighting to catering services to everything else! Our in-house catering pairs perfectly with any event held at Platinum Banquet Hall, from weddings to quinceañeras to social events to corporate events. With our state-of-the-art kitchen and expert chefs, we can customize a superb menu specifically just or you. You can choose from authentic Mediterranean cuisine, traditional American banquet, or a combination of both. 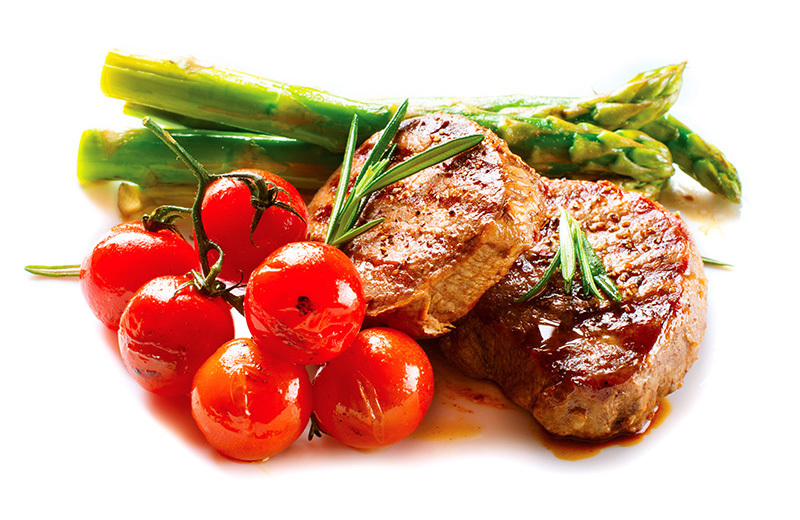 No matter what your menu is for your event, we will ensure it tastes fresh and delicious!